Mannheim, Germany, June 8, 2016... Röchling SE & Co. KG (Mannheim) got off to a successful start in 2016. The Röchling Group increased total sales in the first quarter of 2016 by 9.0 percent to EUR 412.4 million. The Automotive division was the growth driver. It benefited from the dynamic performance of the worldwide automotive industry. The Industrial division also developed positively. However, the strength of demand varied in its markets. In the 2015 fiscal year, Röchling continued its sustained growth course. “Although China’s lower growth rate restrained the worldwide economic expansion, we were able to buck this trend with above-average growth,” reported Georg Duffner. According to estimates of the International Monetary Fund (IMF), the worldwide economy recorded a decline in growth from 3.3 to 3.1 percent in 2015. China’s slower growth, which declined by 0.4 percentage points to 6.9 percent, impeded the performance of many Asian newly industrializing countries. By contrast, growth in the United States increased by a slight 0.1 percentage point to 2.5 percent, while the eurozone recorded growth of 1.5 percent, compared to 0.9 percent in 2014. The Röchling Group’s sales growth of 14.0 percent to EUR 1,555.0 million (EUR 1,364.0 million in 2014) was more than twice as much as in the previous year. The two divisions, High-Performance Plastics and Automotive Plastics, contributed equally to the success of the business. The Group also set a new record for incoming orders. They grew by 14.0 percent to EUR 1,566.8 million (EUR 1,373.8 million in 2014). Viewed regionally, 31 percent of Group sales were generated in Germany, while 34 percent were realized in other European countries. America accounted for 21 percent of sales, while Asia contributed another 14 percent. By far the largest customer segment was automotive technology with a share of 50 percent. This was followed by mechanical engineering and conveyor technology (14 percent), medical/pharma-ceutical (7 percent), chemicals/environment (7 percent), the electrical engineering (5 percent), and other customers (17 percent). They include the construction/visual communication industries, renewable energies, and thermal insulation. The Röchling Group increased EBIT by 32.0 percent to the new record of EUR 135.9 million (EUR 102.9 million in 2014). Ludger Bartels: “The decisive factors are our high product quality, systematic internationalization, and innovative power. We are expanding our business in market regions with high growth potential.” As a current example, he cited the construction of a plant in Mexico. As a result of the expansion course and rising incoming orders, the Röchling Group increased its investments in tangible assets. They grew by 16.8 percent or EUR 12.2 million to EUR 85.0 million. The number of employees (including temporary employees) increased by 517 to 8,397 (reference date: December 31, 2015). The High-Performance Plastics division increased its sales by 14.8 percent to EUR 778.5 million. “We are growing much faster than the market,” said Ludger Bartels, the new Chief Executive Officer of the Röchling Group since June 1, 2016. “The growth drivers were especially customers from the areas of oil and gas, wind energy, and thermal insulation.” Incoming orders increased by 14.6 percent to EUR 788.5 million. Investments in tangible assets rose by EUR 9.3 million to EUR 38.4 million. The largest projects were the expansion of the logistics center in Lahnstein by 3,900 square meters and the expansion of the Haren site. The number of employees (including temporary employees) increased by 348 from the previous year to 3,779 (reference date: December 31, 2015). Among the most important acquisitions was the purchase of HPT Hochwertige Pharmatechnik (Neuhaus am Rennweg, Germany) at the beginning of the year. It is part of the new Medical division. 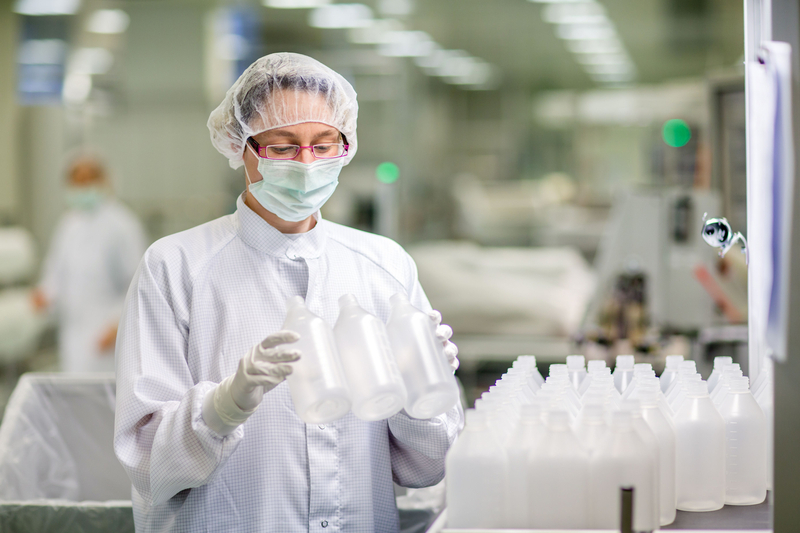 With 271 employees, the company produces plastic primary packaging for the pharmaceutical and diagnostics industries. In addition, Röchling acquired the two English plastics processing companies Fibracon Twin Ltd. (Derbyshire) and Insoll Components Ltd. (Hertfordshire). With this move, the Group is expanding its leading position for machined finished parts made from high-performance plastics. Both companies together have 96 employees (reference date: December 31, 2015). In 2015, the division presented new and advanced materials. For example, Maywotron® pure combines good electrical conductive and dissipative capability with high purity. Application areas include the electrical engineering and semiconductor industries as well as cleanrooms in various sectors. The Polystone® Safe-Tec material also features an innovation. The new structured “cubic grain” surface increases the slip resistance of floors in the chemical industry, but also in swimming pools and on playgrounds. A refinement of the Trafoboard® HD-PH material enables the construction of even more powerful high-voltage transformers. For the high-end record players of the premium brand “Dr. Christian Feickert,” the plastic Sustarin C® provides turntables with the optimal synchronization characteris-tics. Its low feedback prevents noise interference. Another reference for the quality of Röchling products is the prestigious German central military hospital in Koblenz. For the renovation of its ten operating rooms, it relies on TroBloc® M. The antimicro-bial plastic wall coverings limit the spread of fungi and bacteria, such as the hospital germ MRSA. They are easy to clean, resistant, and durable. Among Röchling's most innovative product developments are intelligent sealing strips for paper production marketed under the name SMARTROLL. Reflecting the trend to Industry 4.0, the components equipped with sensors supply information about temperature, wear, and noise levels. The information enables continuous quality control. The Automotive Plastics division presented itself in best form again with a 13.3 percent increase in sales to EUR 777.5 million. Incoming orders grew by 13.5 percent to EUR 779.2 million. “Röchling plastics reduce emissions, fuel consumption, and weight in automobiles,” said Duffner. “This is how we support our customers in solving their most important problems.” As a result of the continuing rise in demand, the division increased its investments in tangible assets by 5.6 percent to EUR 45.9 million. The focus was on the acquisition of new injection molding machines for production in Mexico, Italy, and Germany. Additional investments involved the expansion of plants in Wackersdorf and the Czech Republic. The number of employees (including temporary employees) increased by 3.8 percent to 4,582 (reference date: December 31, 2015). Among the most important large orders in 2015 were controllable air duct systems for the Ford models Focus, Kuga, and Mondeo. In addition, the Focus will have degas bottles and climate chambers from Röchling on board in the future. The same applies to dashboard-mounted air channels, which will be manufactured with Röchling’s new air channel technology involving high-expansion foam. In addition, Röchling entered the important Ford aftermarket business: The Group supplies filter elements for the Ford Transit. In China, Changan Ford equips its Focus model with the division’s active grille shutters. For the same manufacturer, Röchling will start producing degas bottles in March 2017. General Motors also collaborates closely with Röchling. Röchling manufactures loading edge protection for the Chevy Silverado and GMC Sierra pickup models. In Brazil starting in August, Röchling will produce engine insulation for the turbo gasoline engines of the 2017 Chevrolet Cruze. In Germany, Röchling received an order to manufacture underbody panels for the Opel Insignia. In the future, the Audi A6, A7, and TT models will get SCR tank systems from Röchling Automotive. The order also includes the filling systems for them. Similarly, the new SUV model from Jaguar will be rolling down the street with SCR tanks beginning the middle of next year. Mitsubishi is also counting on SCR tank systems. Annually, more than 15,000 SCR tanks will be installed in a new SUV. The stream-lined active grille shutters are enjoying tremendous demand. Chery Automotive is equipping models of the type SUV T15 with them as part of a five-year order. In addition, the company ordered air flap systems for more than 100,000 SUVs per year for the second time. Beginning in February 2017, SAIC General Motors will equip the new Chevrolet Volt plug-in electric car with underbody panels featuring low-weight reinforced thermoplastics (LWRT) from Röchling Automotive. Daimler is one of Röchling’s most important customers. The Stuttgart company will equip its A- and B-Class vehicles with cool air channels and wheel arch liners from Röchling starting at the end of next year. The GL Coupe, GLE Coupe, and SUVs will get cooling systems. The S-Class, E-Class, and CLS Coupe are underway with air flap systems from Röchling Automotive. The cooperation between Röchling and Fiat Chrysler celebrated its premiere. Since the beginning of this year, the Akron, Ohio plant has supplied the active grille shutter for the Chrysler minivan. Variants of the Opel Meriva and the Citroën Picasso also have on board the system that improves aerodynamics, thermal management, and acoustics. The Nissan Versa Note and the Alfa Romeo SUV are also equipped with the active grille shutter. The latter is also underway with underbody panels from Röchling. Beginning at the end of this year, Honda and Geely (Volvo) will equip their models with degas bottles from Röchling. The quality of Röchling manufacturing is once again reflected in the awards re-ceived: The Volvo Car Corporation presented the Belgian plant in Gijzegem with the Volvo Car Quality Excellence Award in recognition of its quality management. Spurred on by this prize, sales with the automobile manufacturer will double in the coming years. Röchling was also recognized by Ford for very good quality. The plant in Kopřivnice (Czech Republic) received the World Excellence Award for the active grille shutter. Among the most important trade fair appearances was the presentation of the new product line “New Business Green Car” at the Aachen Car Body Engineering Days in Germany. The innovative lightweight solutions for the vehicle floor in a sandwich design made from LWRT and aluminum encountered significant interest. In October 2015, Röchling Automotive presented its new materials and alternative joining pro-cess at the ITB Plastic Engine Parts Conference in China. The focus was on product innovations for air induction applications in the engine compartment.